"... Loved it and will be using it again. Ran it for January and made some impressive gains. Strength went up on all exercises, especially my core movements like squats, bench and curls. Body fat dropped 4% and I gained about 6lbs of lean. Had a high protein diet, medium carbs and high healthy fats. Trained 5 days a week. Hard to compare to other products, it's quite unique but again, it works and no side-effects which is important to me after all the toxic stuff the other brands release." 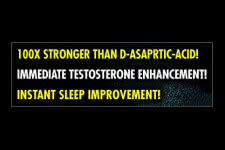 Finally a safe and natural method to boost testosterone levels further then ever before! 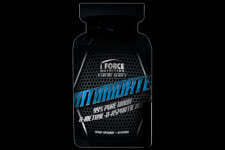 iForce sports nutrition introduces the latest and greatest, their Intimidate testosterone booting compound that is already sending shock waves around the world! Claiming to be the worlds only product that is contains 99% N-Methyl-D-Aspartic Acid ingredients, it sure is about to set a new standard for the other brands to follow. fitFLEX is here to share the latest info and let you share your opinions! When the process of the NMDA binding occurs, you have a tremendous influx of testosterone, IGF-1 and IGF-2 which automatically signals new muscle growth and instant recovery improvements! Some of the other benefits you can come to expect from Intimidate is enhance sleep patterns each night, improvement with your libido, much improved daily moods and a surprisingly interesting aspect is the mood improvement benefits! It's a fact! Noticeable improvements in both short and long term memory has been noted from test subject! Get started with Intimidate today and don't miss out! 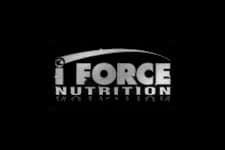 Instant Testosterone Improvements & Recovery Benefits! Clinically Proven to be 100x More Potent than D-Aspartic-Acid!